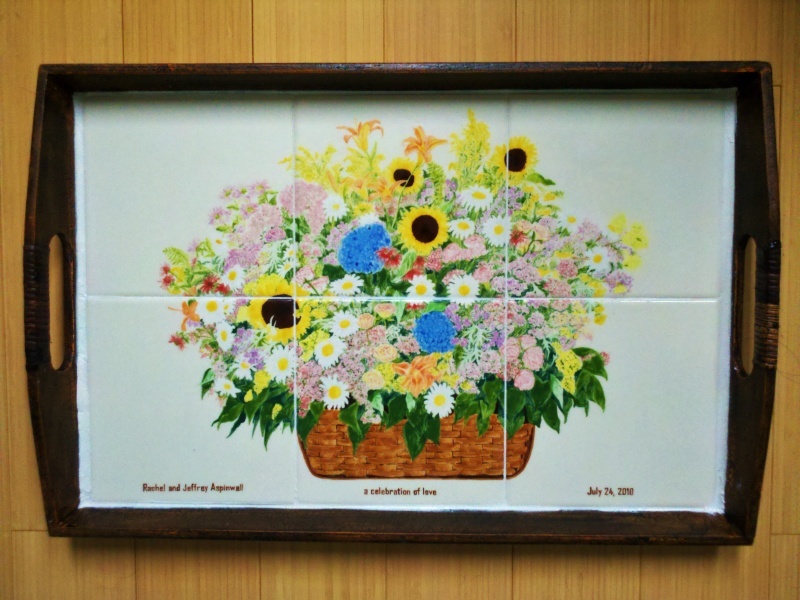 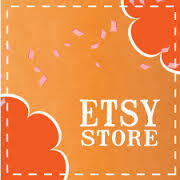 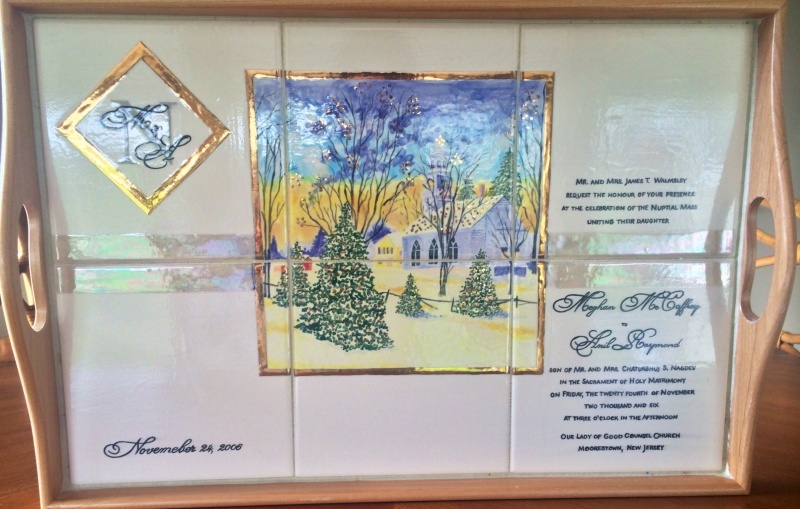 Posted January 14, 2015 by Sharon Harrison & filed under Accessories and Miscellaneous painted objects, Tile Trays, Wedding invitation trays. 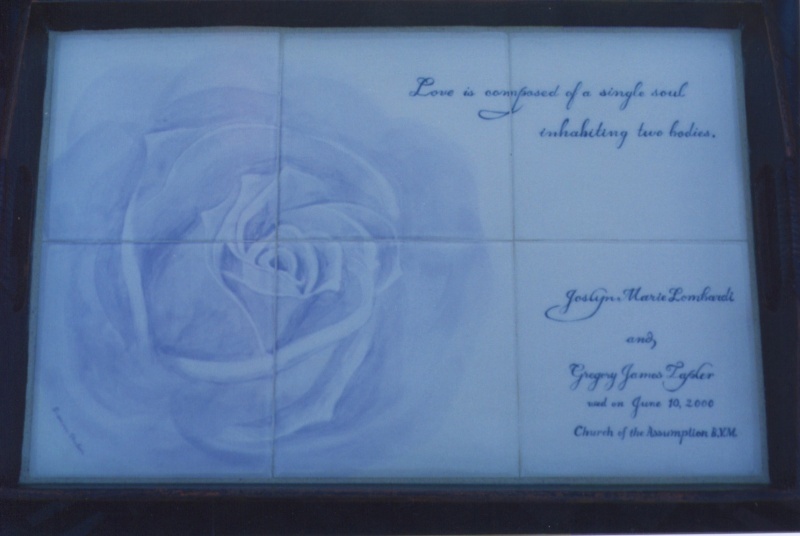 If you are looking for a unique gift for your next wedding invite, here you are! 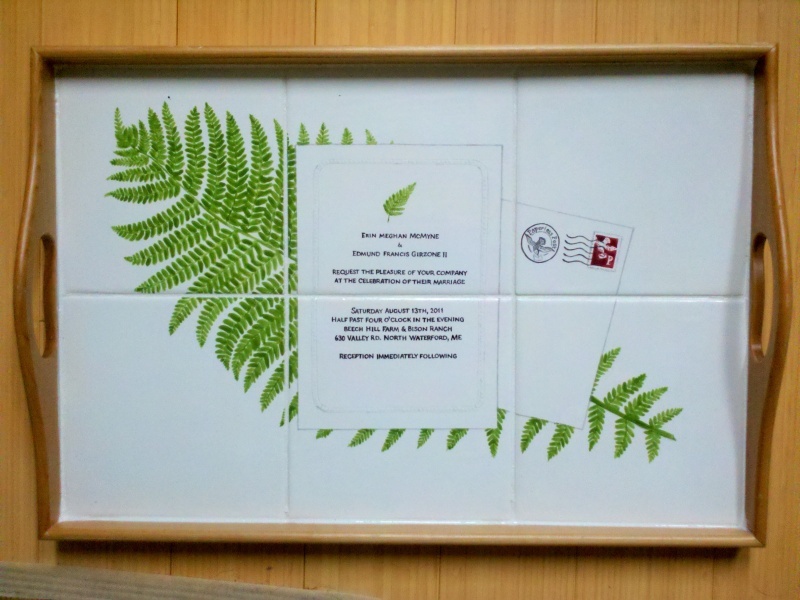 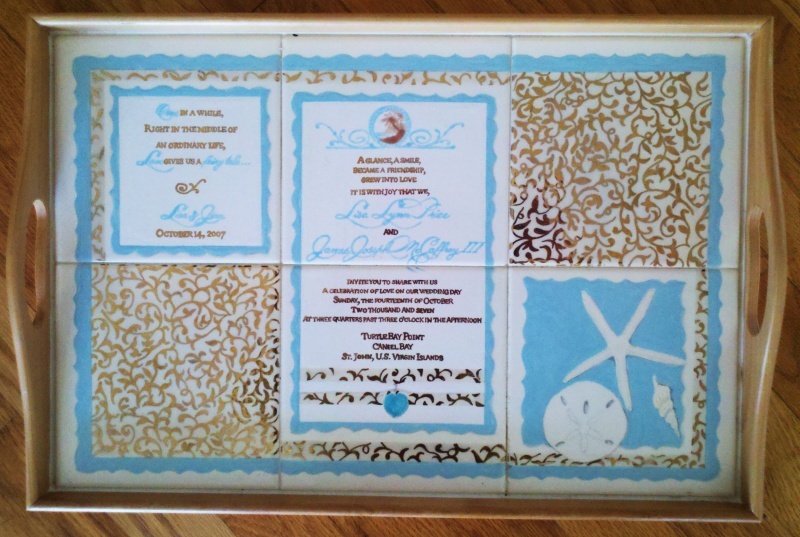 I can hand paint the basic information and the essence of the personal invitation on tile. 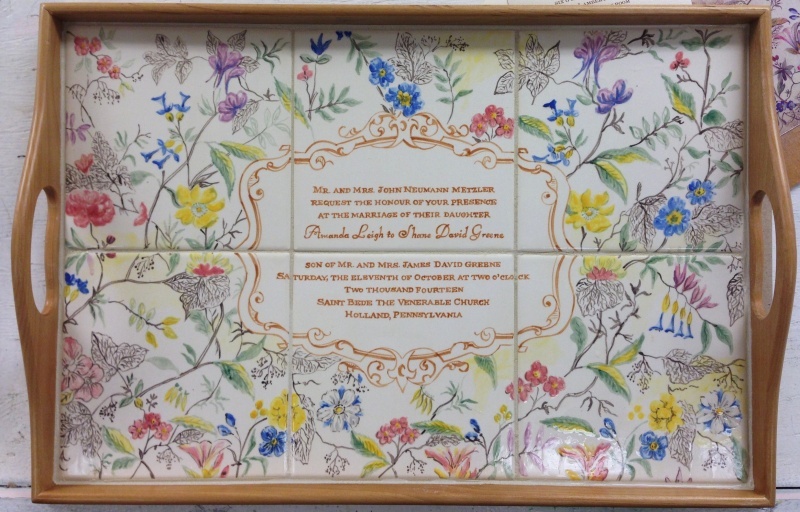 The tiles are then fired for permanence and set into a wooden tray. 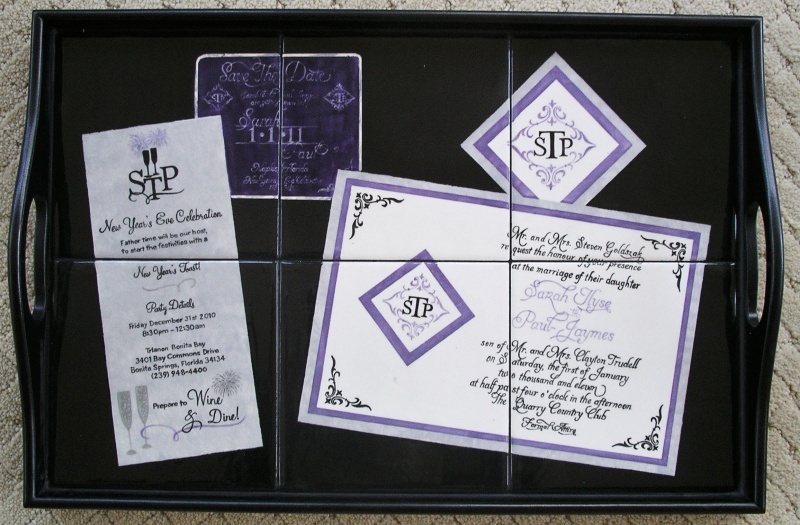 The gift is beautiful display of their invitation in a functional serving tray (trays are 12″ x 18″).